he default scan is referred to as a deep scan, which checks your entire computer for rootkits, trojans and other threats. 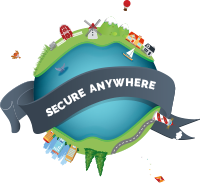 During the scan, SecureAnywhere searches all areas where potential threats can hide, including drives, files, and system memory. It looks for items that match our threat definitions, match descriptions in our community database, or exhibit suspicious behavior. If SecureAnywhere detects a threat, it moves the item to quarantine where it is rendered inoperable. In quarantine, it can no longer harm your system or steal personal data.